CENTER CITY (WPVI) -- Police are trying to determine if an injured pedestrian was struck by a bus in Center City, Philadelphia Tuesday Afternoon. 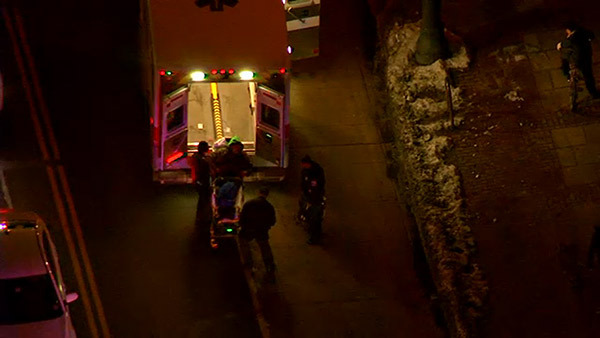 Chopper 6 was over the scene where the injured person was found lying next to a bus around 5:40 p.m.
Police say the person may have simply fell near the bus. That person was taken to the hospital with unknown injuries.